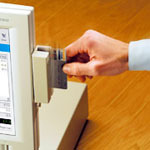 The Authorize.Net Virtual Terminal is a secure, browser-based interface that enables businesses to authorize, process and manage credit card transactions from any computer that has an Internet connection and a Web browser. Easy Innkeeping call accounting interface is a powerful feature which keeps track of incoming, out going, local, long distance and international calls. Specify call accounting data file location. The Condominium Module is designed for managing individually owned units rented on a short term and/or long term basis (daily, weekly, monthly or yearly). If you have not used the Easy WebRez module, this feature allows your guests to view your reservations online AND receive online reservations directly into Easy InnKeeping. Accept online reservations from your website 24 hours/day!